Last month, I wrote an article for the blog of Sew Mama Sew. 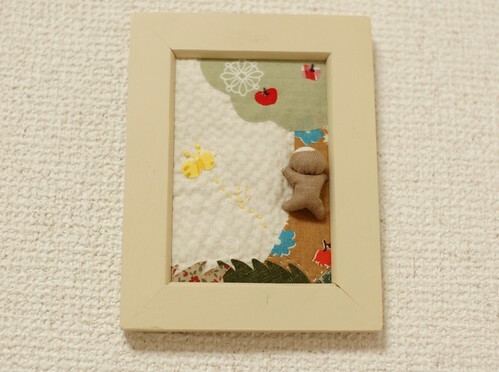 I made a frame with Sarubobo and applique, and wrote the tutorial. They corrected my English, so it should be better than here (* v *)!!!!! And today, I got a package from my friend, Emishimosato. There are lots of beautiful fabrics. I'm really happy with them. I love her works and my mother liked her pincushion very much. Thank you very much Emi! Tomorrow, I send three packages. One is for her, EmiShimosato, and the other is for my mother. She wanted linen fabric for her pants, so I got some for her. The last one is for a friend who sent me Sew Hip magazines. I got a book and made a bag for her. It's fun to make a package for someone special, isn't it? I'm also making some petit gifts for customers now. I like making small, tiny objects, so it's the most delightful time for me! And I'm writing the instruction to make the book cover. I think I can post it soon! Have a good day and good weekend for you all! ho scoperto il tuo blog pochi giorni fa,ma ti seguo sempre.trovo i tuoi lavori belli,freschi,originali,graziosi.sei veramente brava!bravissima! These are totally awesome! These would be great as a baby shower gift. Very unique! I am always amazed at your ideas! Project is good. Can you give me some information about fabrics you used? Hello Mai, wow!! you are so talented! Hey, if at any time you wish to swap fabrics with me, please let me know ok? I'd like to get my hands on some Japanese Cotton and Tenugui... they are not easy to come by in Malaysia. And in return I can sent you some Chinese & Malaysian fabrics. Mai, i lovw your projects and tutorials! 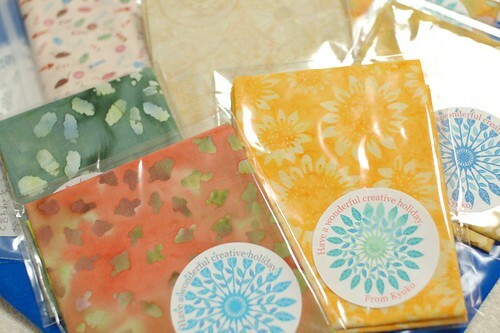 *hugz* YOur new fabrics look gorgeous...looking for ward to see what you make of them. I hope you had a good weekend and lots of love to you! 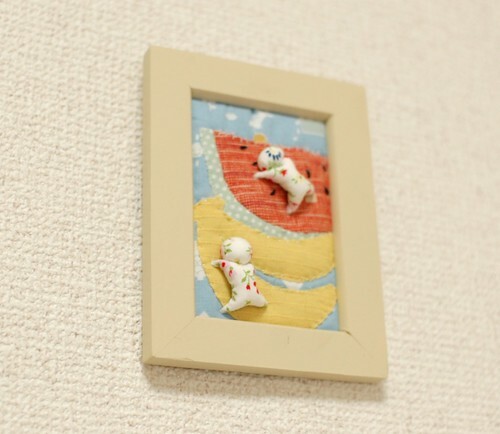 I love your little framed people, what a fantastic idea! Well, at least you have managed to come out of it with only a few inconveniences. It could have been much worse.